One of the best kept secrets on the Bethlehem South Side is Shankara Vegan Restaurant. 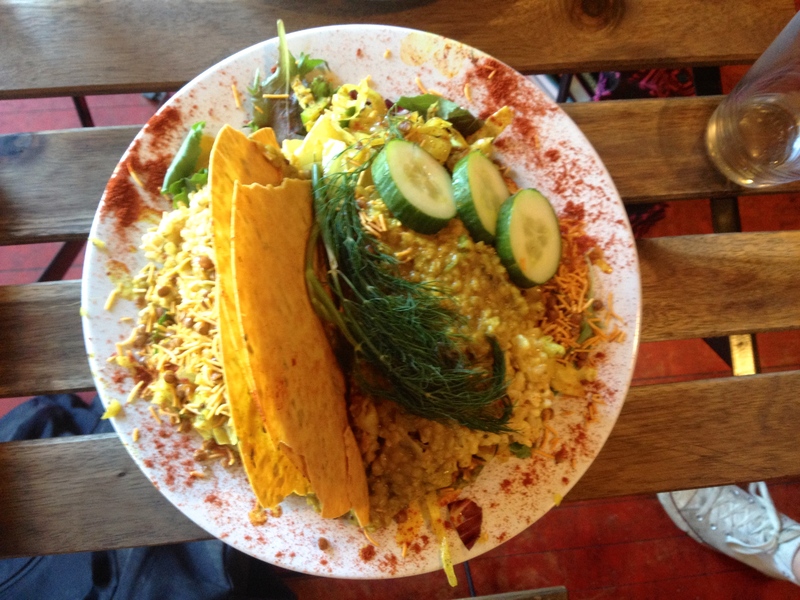 Shankara describes itself as “organic vegan exotic cuisine,” and the menu is different every time I go. I went there for lunch with my friend the other day and we decided we would each order something different. I got the teriyaki tofu with brown rice and vegetables, and my friend ordered the curry sweet potatoes with brown rice, lentils, and vegetables. My meal was absolutely delicious, and you wouldn’t have guessed one bit that it was all vegan. The chef always does a great job with presentation, and I felt bad mixing it all together in order to “build flavors” as my mother would say. The tofu was perfectly cooked and the teriyaki sauce was excellent. The brown rice was very filling and the vegetables were cooked perfectly. I felt like I was eating at a hibachi restaurant; I almost forgot it was all vegan. My friend’s meal was also very good, but I preferred mine. The curry sauce was tasty, but her meal was heavier than mine because it was very rice dense. I wasn’t that spicy, so Sriracha would have been a nice touch (because Sriracha goes well on everything). Her meal didn’t have as many contrasting flavors as mine but it was still great none-the-less (I’m just being picky). The atmosphere of Shankara is very down-to-earth. It’s lightly decorated but the art that is up is very unique. There is a lot of wood in the restaurant, which is what gives it an earthy and very relaxed vibe. The food is expensive – each of our meals were $15.95 – but the portions are huge so you get two meals out of it. Vegan food is typically pricer so it is to be expected. Shankara prides itself on being “organic – farm to table – vegan.” You can also purchase freshly made fruit and vegetable juices, along with various flavors of kale chips. Even though the menu is different each time I go, I’ve never been disappointed with my meal. The food is delicious, beautifully presented, and healthy.